Contrary to popular misconception, there is life above the Flatiron District and tech community members who live in what anyone who refuses to venture above 14th Street considers to be the suburbs. Good news, UWSers: no reason to hang at the local Starbucks or Aroma to escape working from home. 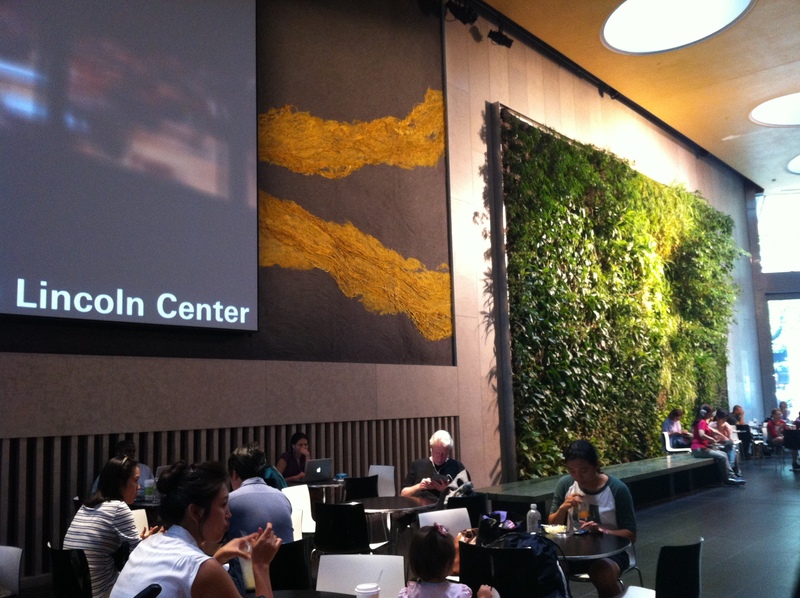 Lincoln Center maintains a public space with free wi-fi and lots of tables and outlets. There’s a wall of lush greenery, too, since this is, well, the suburbs, after all. Open Monday-Friday, 8 am-10 pm; Saturday and Sunday, 9 am-10 pm.